Loose items such as a mat, food items, and more can become tripping hazards on the floor. If your loved one has a decorative mat in their kitchen, make sure it is non-slip or secured to the floor. In addition, be sure to store food on shelves or in cupboards or pantries instead of stacking them on the floor. This can also keep your loved one’s food clean and safe from germs. Oftentimes, the table can collect everything from junk mail to electronics. However, these items on the table can lead to germs and dirt getting very close to food and they can also increase the chance that important items will get lost. Instead, organize mail in a filing cabinet or folder and store it in a different room. Dedicate another space to store phones and tablets, such as in a basket on an end-table out of the kitchen. If your loved one’s cupboards and pantries are filled to the brim, set aside time to organize them and get rid of items that they don’t need. 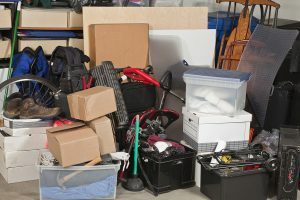 If they have extra dishes or appliances that they rarely use, consider boxing them up and storing them in a storage space. In addition, be sure to dispose of any food that is spoiled or is past the expiration date. If you or an aging loved one are considering home care in Keyport, NJ, please contact the caring staff at Lares Home Care 1-800-781-7435 or 732-566-1112.